Throughout the day, thanks to topics like the Nexus 6 having encryption that can’t be turned off without taking matters into your own hands, we have seen the emergence of a healthy discussion around the topic of tinkering. When we say “tinkering,” we are talking about understanding adb commands, flashing recoveries or images or ROMs, and generally deciding that you can make your phone better than it is out of the box. As the conversation has grown, a number of readers have taken it back to what we used to consider to be the initial step in becoming a tinkerer, and that’s through rooting a phone. And that thought has revived this poll question, which we try to run at least once a year, but haven’t seen December of 2013. In other words, it’s time. So, let’s do this. 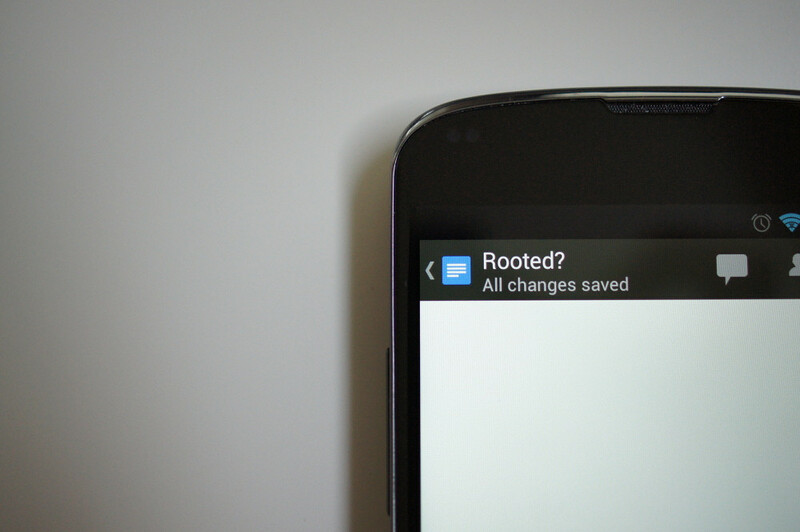 In the poll below, all you have to do is answer by choosing if you are “rooted” or “non-rooted.” From there, to continue this conversation, feel free to jump into the comments section and talk about the phone you own, if you are rooted or non-rooted, why you fall into either of those categories, etc.